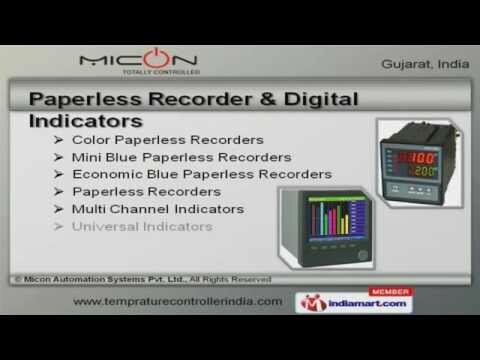 Welcome to Micon Automation Systems Private LimitedManufacturer & Exporter of Instrumentation and Automation SolutionsThe company was established in 2006, at Ahmedabad. We are an Authorized distributorof M-Tec, ATC & YUDIAN. We have spread our wings to Indian Subcontinent & MiddleEast. ISRO & Vedanta Aluminium Ltd. are some of our prestigious clients and we are backedby Industry leading prices & latest technology. We offer a vast range of Paperless Recorder, PID Controller & Interface Converters. Our Isolated USB, Temperature Scanners & Multi Loop Controllers are best in theindustry amongst others. Digital Timers, Boiler & Automation Control Panels offered by us are widely acclaimedin the market. Our Paperless Recorders, Multi Channel & Universal Indicators are available at industryleading prices. We also provide PID Controller & Interface Converters that are a class apart. Along with that we offer Wireless & Fiber Optic Converters that are superior inperformance.